© Reuters. 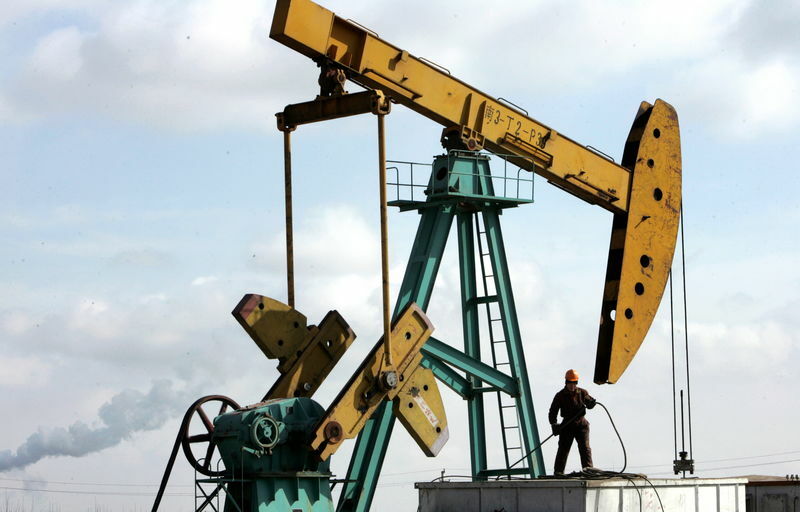 FILE PHOTO – A Chinese man works at a pump jack in PetroChina’s Daqing oil field in China’s northeastern Heilongj..
BEIJING (Reuters) – rose sharply on Monday as geopolitical tensions over the disappearance of a prominent Saudi journalist stoked worries about supply, although concerns about the long-term outlook for demand dragged on prices. had risen 98 cents, or 1.22 percent, to 81.41 a barrel by 0124 GMT, on track for its biggest daily gain since Oct. 9. “South Korea’s move to stop Iran oil imports is giving the market confidence on prices,” said Chen Kai, head of research with futures brokerage Shengda Futures.